For anyone who aspires to become a doctor or other medical professional, getting into a good medical school is the first step. That’s why building a strong educational foundation in your undergraduate years is so important. Not only will it help you do well on the Medical College Admission Test (MCAT) and write strong essays for your medical school applications, but it will also prepare you for the rigorous coursework you’ll face in the competitive medical school environment. There are certain academic areas and skills that you should focus on in college to prepare for medical school, but that doesn’t necessarily mean you have to be a pre-med major. 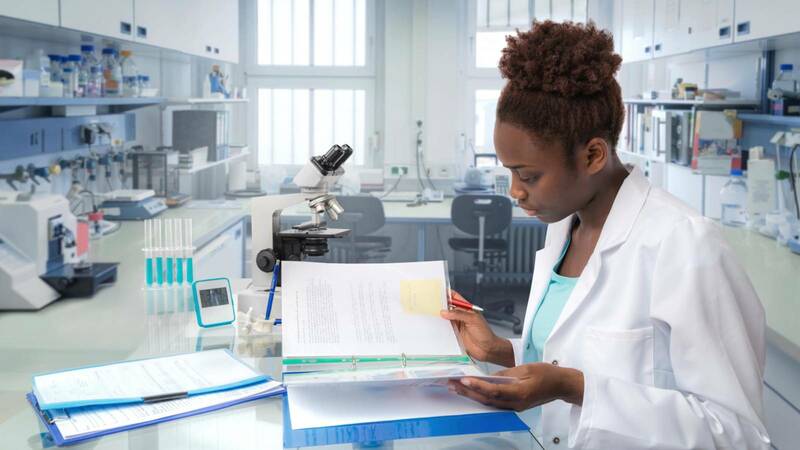 In fact, a study at Harvard Medical School revealed that students are successful in medical school regardless of their undergraduate major, as long as they focused on science preparation. As a general note, it’s a good idea to check the requirements of medical schools you may be applying to since they can vary. That being said, there are certain key subjects that all aspiring medical school students should consider taking. Many medical schools require a minimum of one year of study each in biology, chemistry, organic chemistry and physics. What’s more is that the MCAT usually includes material that is covered in these courses. Bottom line — plan on taking science classes every semester so you’ve got each one covered. Although not every medical program is adamant that applicants take advanced math courses, it won’t hurt to do it anyway. Classes like calculus and statistics will help build a strong foundation in math, while also indicating to medical school admissions officers that you’ve opted for challenging courses. Plus, it will help when you’re crunching formulas in all of the science and lab courses you will take. Studying liberal arts, social sciences and foreign languages can help expand your worldview, which is crucial when working with patients of different backgrounds. Having empathy and compassion for your patients and understanding the cultural and socioeconomic factors that contribute to public health will make you a better doctor. Also, being bilingual or multilingual can improve your communication with patients and increase your internship, residency and volunteer opportunities. English and history courses (and the research papers they entail) can help build skills that will be applicable throughout your life, beginning with acing those medical school applications. More importantly, strong communication skills are the cornerstone of quality patient care and great bedside manner – the latter is especially important if you plan to build a healthy practice and a strong rapport with patients. Plus, getting published in medical journals requires top-notch writing skills. Whether you take speech classes or join the debate team, learning to present your ideas and arguments in a group setting will prove beneficial in medical school and beyond. You will also learn about verbal and nonverbal communication so you can better present yourself in medical school interviews and at conferences. Good communication skills can also help you while working with patients. In addition to your classes, find some time for hands-on learning related to your intended profession. For instance, see if you can intern or volunteer (perhaps through a campus community service club) in a health clinic, nursing home, hospital or research lab. The opportunity to have direct contact with patients and observe health care providers in action, as well as become comfortable with laboratory best practices and procedures, will better prepare you for what’s ahead. Work with your course adviser to make sure you’re on track to meet the minimum requirements for medical school admissions and choose your remaining courses based on your personal interests and to improve these skill sets. By getting the most you can out of your undergraduate schedule, you can set yourself up for medical school success.